Today's the big day! 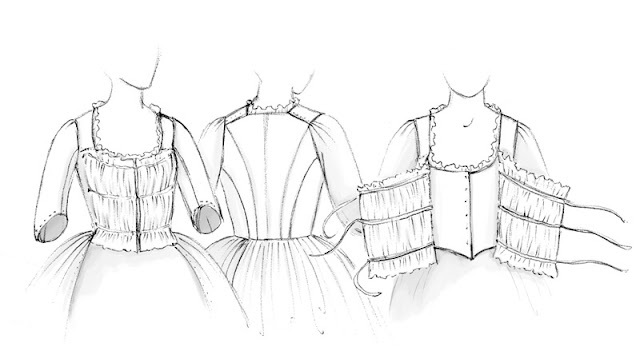 Our book, The American Duchess Guide to 18th Century Dressmaking: How to Handsew Georgian Gowns and Wear The with Style has officially been released! While you can buy the book on any major book retailer, we do also have copies for sale on our website. If you want a signed copy of the book, make sure you click the box that says, "Yes, Please" before you add the book to your shopping cart! We can't wait for you all to read and enjoy the book, and then go off and make beautiful things from it! 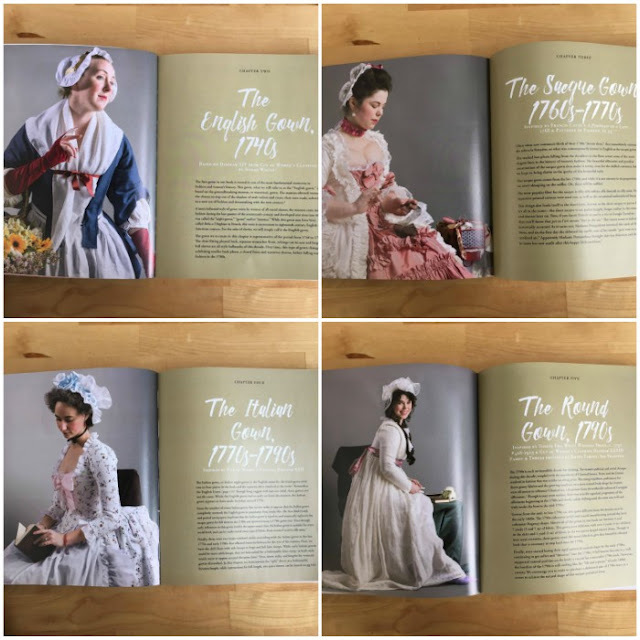 We've been doing a few Facebook Livestreams (English Gown, Sacque Gown, Italian Gown, 1790s Gown) on the different sewing projects in the book. Lauren and I also wanted to talk about what it was like to actually write/photograph/pattern/illustrate/edit/insanitysauce the book, so last week, we sat down and chatted about the experience on our "Fashion History" podcast. We mention in the recording that we plan to supplement some parts of the book. Some things got cut out, some things were forgotten (oops), so we've already created some additional content to help you with your projects and will share more in the future. One of the gown variation doodles Lauren sketched. None of the variations made it into the book, so we will share these sketches here on the blog later on. Below is a gridded pattern for the full Italian Gown, which includes information on the skirt panels such as widths and number of breadths, placement of the bodice waist edge, and placement for the ties. We hope you find this useful! 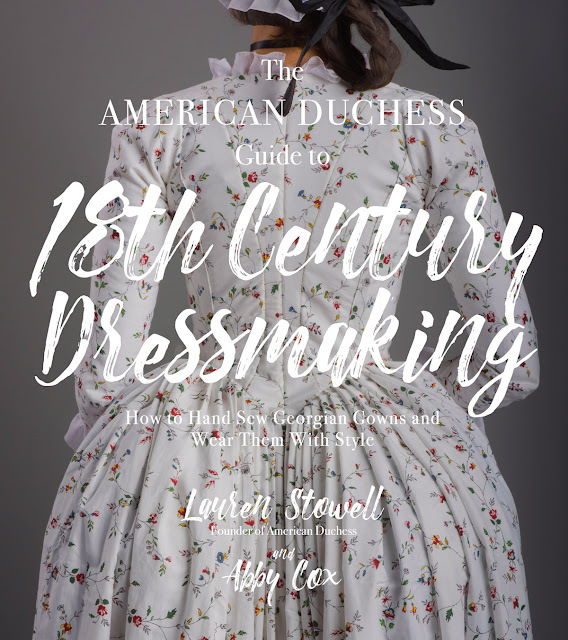 When it comes to "workshops," we are thrilled to be collaborating with Jennifer Rosbrugh of Historical Sewing on classes that will use The American Duchess Guide as a textbook. Jennifer will take great care of you, and we'll pop in on occasion to shed some light on particular sections and techniques. Finally, we want to give a huge, huge, huge thank you to all of you. This book was a big challenge for us, and demanded a lot of blood, sweat, and tears and blood and more blood. We could not have completed this book without your support. We hope that you love the book and that there's something in there that will help you along your costuming journey. Congratulations on achieving your goal! Looking forward to thumbing through a copy. Congratulations! I can't wait to spend some time with the book over this holiday week and start planning a gown for next year! Huzzah! Heading out to buy one now! Just got my copy today! Postal service banged it up a bit, so its already on its way to being well loved! Thanks for creating such a lovely resource, Lauren and Abby! Such a fabulous podcast! Many, many congratulations to you both for completing a wonderful book project. I'm ecstatic to team with you to help send people out into the world in beautiful 18th century garments. Cheers! I bought your book (! It's amazing and incredible and wonderful and has so much good information!) and your Simplicity pattern 8162. I am going to make the Italian Gown, and I'm super excited, but I have a couple questions. #1: Is your Simplicity pattern (the older stays one) make a historically shape for the Italian gown? If not, do you have any tips? #2: If I follow all of the instructions in the envelope for the stays, would it come together historically accurate? I care about that, haha, and I don't want to feel like I need to redo them in the future, as this will already be my second pair of stays. 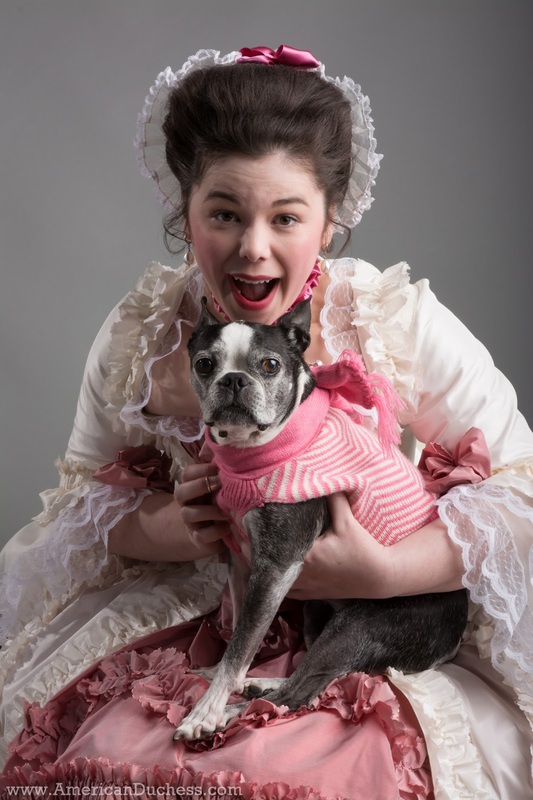 #3: I'm a freshman in high school, and have been historical costuming for a few years. I barely started dipping my feet in the Georgian Era. I make grown-woman clothing because I like that better. :) However, I haven't finished growing. I honestly have no clue how big I'm going to be - my dad's tall and my mom is short. Do you any ideas?